Volunteers will collect coats around their community and donate them to One Warm Coat. They match volunteer coat drive ambassadors with a local non-profit agency that will receive the coats. 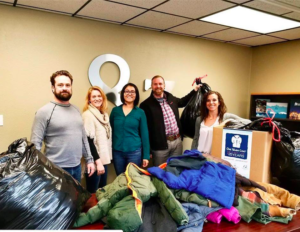 One Warm Coat partners with hundreds of agencies all across the country so coat drives can be held anywhere and the coats will remain in the local communities.